Historic Cottage with THREE Fireplaces in Tuttle/Glendale Subdivision, Mobile Alabama! 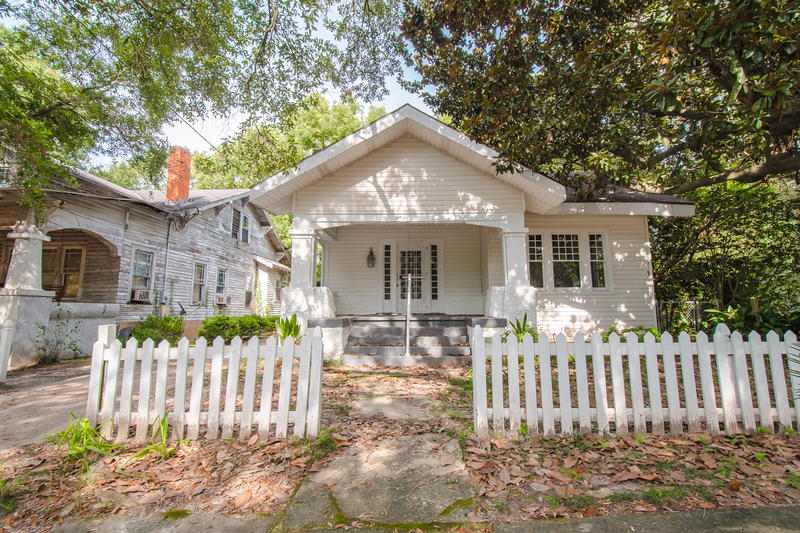 Get cozy in this Historic Cottage with THREE Fireplaces in Tuttle/Glendale Subdivision, Mobile Alabama! 407 Michigan Ave is a historic home on Michigan Ave, one Mobile’s oldest streets. Many beautiful historic homes are on Michigan Ave, each of which offers a quick commute to the Downtown area and many of Mobile’s hottest destinations. So you definitely won’t want to miss out on this superb location! This is an absolute steal for an investor who’s looking for a historic home to purchase on a budget. The home has beautiful hardwood floors. It also has 3 bedrooms that offer great size and storage. The home has 3 fireplaces, and offers a great view from the beautiful front porch. Being so close to Downtown Mobile, you will be a stone’s throw away from major dining and shopping. Mardi Gras parades are within walking distance, and you are only a few minutes away from I10. The Mobile Battleship is a quick car ride away–an ideal location for birthday parties and get-togethers! You will not be disappointed! Come tour this Historic Cottage with THREE Fireplaces in Tuttle/Glendale Subdivision, Mobile Alabama with the Jason Will Real Estate Team 251-866-6464!